Imagination: The faculty or action of producing ideas, especially mental images of what is not present or has not been experienced. The ultimate frontier, the most romantic landscape from within our minds. To dream can be wonderful or cruel, and every touch of the strange has the power to open our lives. 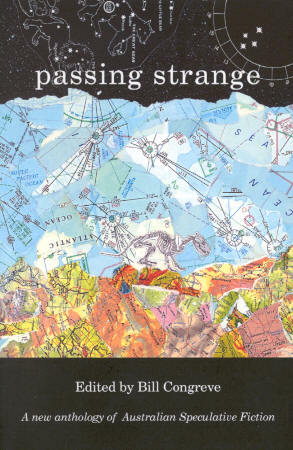 Edited by Bill Congreve, Passing Strange spans the spectrum of speculative fiction, from Cat Sparks's music-inspired cyberpunkish "100% M-Hype (TM)" to the supremely silly fantasy "The Were-Sofa" by Naomi Hatchman. Never less than competent and readable, many of these stories approach must-read status. But surely the finest in the volume is Kate Orman's "All The Children Of Chimaera". This tale -- of a Renaissance England where all the imaginary abominable creatures described by far-travellers truly exist -- summons comparisons to Ted Chiang's "Seventy-Two Letters". In a fairer world, this one would be on the award-ballots next year. A collection of thirteen original tales of humour and horror, of suspense and wonder, from some of the best imaginative writers in Australia. 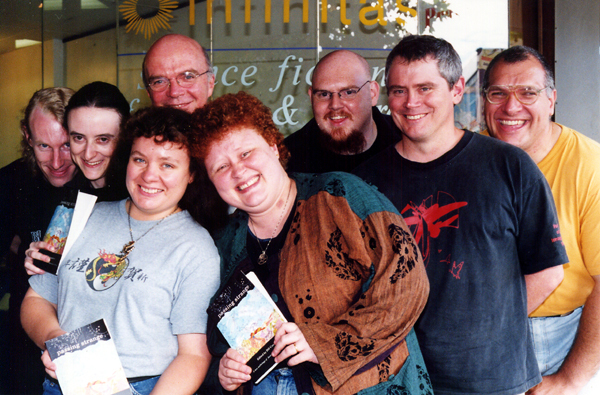 Reviews in Aurealis, Orb, Canberra Times, Locus Online, Gaslight Books website.